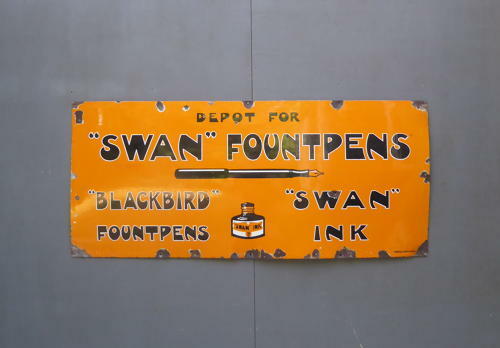 A large early vintage enamel advertising sign for Swan Fountpens & Ink. An exceptionally rare sign in a striking & unusual colourway, featuring a wonderful layout & some superb typography. Manufactured by The Protector Enamel Company of Eccles & retaining a very good depth of colour & gloss.